As the publisher for Houston Luxury Magazine, Peter Remington recognizes some of the best food, clothing, cars, and living that Houston has to offer. Throughout his journey, both personal and professional, Peter’s inspiration is now laser focused to seek and emphasize on the best of what is on the inside of a person as his passion. Through his Prepare 4 More books and speaking engagements Peter is working on building the luxury from within and sharing his faith and experiences with a much wider audience. Entry level positions can be some of the most difficult places to start as seeing the stars is almost impossible when you can’t see past the clouds in between. Peter Remington first planted the seeds of success in a career in radio where he refused to take no for an answer. Early on the decision was made to take any opportunity given and really know the ins and outs of the position he was assigned to. Focusing on the potential guided Peter into charting a career path marked by growth. By stocking up on his skill set in sales he developed confidence from himself and others in his measurable strengths. The strengths could be sculpted and reapplied regardless of the position or field. His career in radio demonstrated this success as he excelled and eventually ran a $72 million office for Eastman Radio. Originally Peter support for his dreams came from his supervisors and mentors within radio. As his focus shifted, however, Peter learned to adapt his support team to the priorities he set for his own life. Peter continues to build and cultivate a team that fed both his professional and spiritual aspirations. Through his team and his commitment to his faith Peter receives the support, accountability and motivation he needs when facing his own hurdles from others that understand his motivation and inspiration. Up at 5 AM every day and on to workout, visualize, meditate, and write all before work can be an intimidating routine for anyone. For Peter learning to cultivate a routine where he can really focus on motivating his mind, body and soul sets the pace for the rest of the day. The goal in such a stringent routine is to seek to maximize his vibrations out to the world. By focusing on developing his internal foundations first, he steps out in the world ready to share this energy with others. 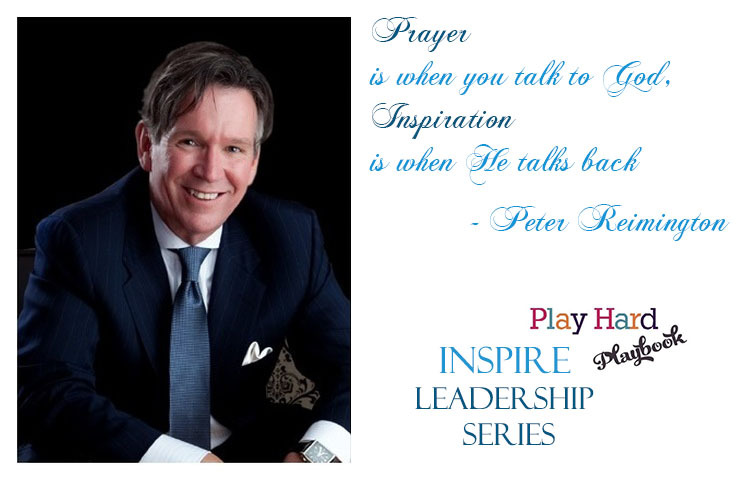 Peter has worked to develop this personal mantra that guides his thoughts and inspire his steps as he faces the challenges and successes of life. Much like the Pledge of Allegiance this simple statement is available for quick repetition and to share with others who are building up or knocking down the obstacles he faces. By adapting this mantra he has boiled down his actions and intentions to a simple phrase as a reminder of the reason for all of the hard work and an overall guiding star as he looks for direction for his next steps. Developing a strong and simple mantra goes a long way in warding out the distractions that are a constant in life. The more rigid a plan is, the more likely the risk that the change winds of time will break that plan to pieces. Peter has learned to take his concrete goals and passion and make them flexible enough to be fluid with the changing environment. Upon completion of his first book Be:Aholic, Peter was faced with the decision to actively pursue his passion on a full time basis or make a move to the publisher for Houston Luxury Magazine. By understanding the difference between “no” and “not right now” Peter has been able to continue to cultivate his connections and professional prowess while still actively writing and preparing for his ultimate goals as a writer and personal speaker. ltimately Peter is able to actively pursue his passion to making others successful while ensuring his foundation is built on rock instead of sand. By keeping his mind and heart open for this communication Peter is able to look for inspiration in his reading and cultivates this knowledge and inspiration in the form of his writings, which you can find in his Daily Insights on the Prepare 4 More sight. After eleven straight seasons with a sold out stadium, Jamey Rootes has not just faced the challenge of launching a football team but also the challenges of building a powerhouse brand in the Houston Texans. Jamey’s commitment to building the team that supports the franchise has lead not only to success in the brand but as in the team as the Texans were voted as one of the best places to work in Houston. 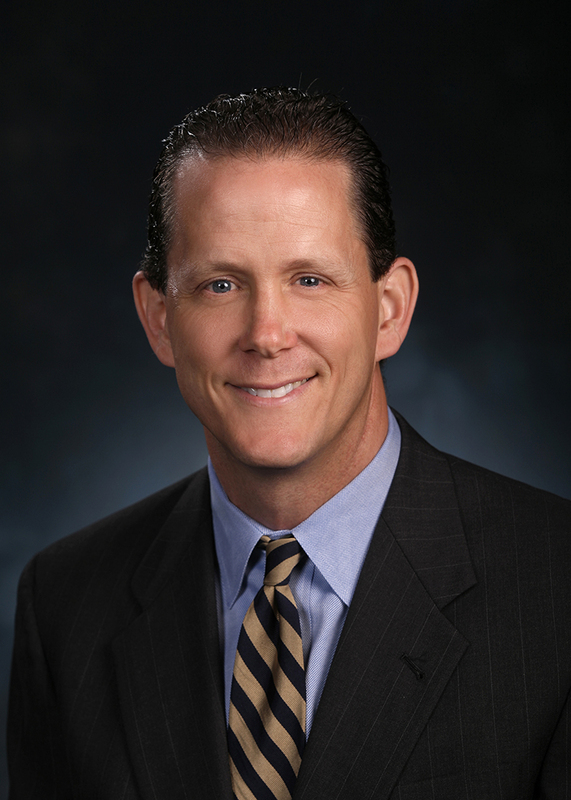 In this Inspire Leadership series, Jamey Rootes shares his insight on how following his passion lead to his success. At the start for Jamey Rootes it was the love for another type of football igniting Jamey’s passion for sports management. Jamey began as an avid soccer player throughout college. The seed planted through this passion took root and continued to grow as he began his professional career and positioned him to spot the opportunity when presented of coaching a college soccer team while pursuing his MBA at Indiana University. The work put into learning how to organize and inspire a team to collectively reach their goals laid a strong foundation for his eventual career path. Who out their thinks I am special? The answers to these questions not only drove Jamey but inspired others to the point it became contagious and creating fans of those who believed in him. They, in turn, stood behind his efforts. By creating “raving fans” he was able to their energy to propel him through different rungs throughout his success path. The desire to be involved in sports was clear to James Rootes after both playing and coaching soccer and his climb began in his commitment to this clear sense of purpose. Jamey attributes this constant commitment to navigating his path through the fogginess of an indirect career path. James jumped at opportunities to not only coach soccer for college teams but to take on the challenge at the major league soccer team, the Columbus Crew. The risk paid off as not only were the Columbus Crew a success, but the experience in launching and managing a team from scratch caught the eye of Bob McNair in his exploration of bringing professional football back to Houston after the departure of the Oilers. Each opportunity presented, whether later deemed a success or failure, was a chance to learn what could be done differently in the future. Jamey attributes the positive attitude to being “punched in the mouth every now and then” as part of surviving and ultimately benefiting from the necessity of some failures on the road to success. With the right attitude any detours to reaching a pinnacle of success becomes pieces of armor collected along the journey that protect and prepare for you for future challenges. In his journey, Jamey was able to accumulate the firsthand experience in coach imperative to keeping a team motivated along with the business savvy necessary to build and maintain a brand all while along lives little detours. A great example of how Jamey benefitted from the detour of going back to school to get his MBA. The time taken to pursue his degree allowed Jamey the chance to unplug from one career path and reopen another path, the opportunity to get hands on experience in coaching and sports marketing and promotions, and to develop a critical skillset honed in graduate school. Through this detour Jamey walked away with not only a degree, but also the unique advantage of a having a reputation as delivering in a role as a leader, team player and collaborator for a sports team. Although reading the books are an important first step Jamey sets a goal to really ingest the messages and make it apart of personal growth by taking the steps to read the book, summarize the lessons learned, and finally boil down the summary into four points to remember to take away from the book. This process makes the reading practical and applicable in his daily challenges. Externally Jamey also works to partner with peers outside his organization for inspiration. By working with the Young Presidents Organization he has developed a forum to not only discuss and explore ideas and challenges but also as a measure of accountability in the actions he takes. Even the most successful professional life can feel empty without the balance of love from friends and family that remind you that the cup always runs over in blessings. To balance both his professional and personal passions Jamey first lists and then makes firm commitments to his priorities. By listing his priorities his creates a clear sense of what is most important and what he wants to get accomplished. This prioritization is supported by taking the time to put those things, from professional appointments, to family time, to personal development on the calendar. By scheduling these priorities he fights the temptation to overschedule by providing disciple in mapping and defending all the time commitments that result in balanced living.